Monday 2nd September was another good day. Good breakfast, then a visit to a Leclrc hypermarket to buy water (and a track pump) for the group. 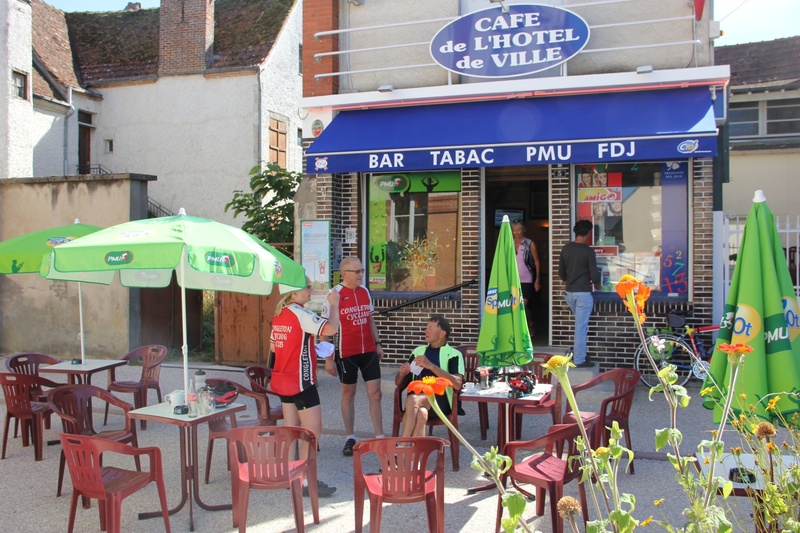 Onto St Calais for elevenses, Montoire-sur-le-Loir for lunch, and Herbault for an afternoon Orangina. Then into Blois for the Tintin-orientated Hotel Le Monarque. Personal ride in the evening out of the city to the southeast towards Chambord. Tuesday started from Blois, coffee at Milançay. Then one of the cyclists was laid low with a dreadful toothache. 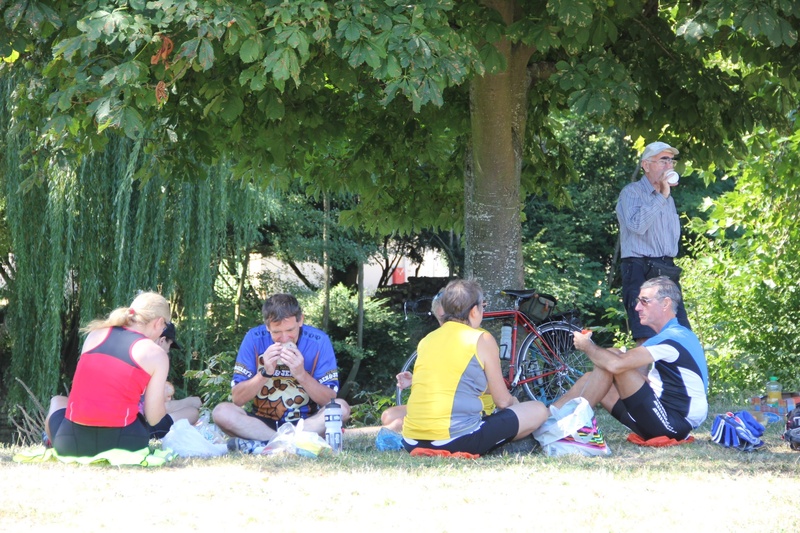 So lunches distributed to those with panniers and two of us drove directly to Issoudun. Hotel receptionist rang local dentist, appointment made, teeth examined, prescription written and collected from pharmacist. Then back to Graçay to meet the group. A personal evening ride to Indre-Cher departmental boundary. Wednesday started with very hot weather. Lignieres, which I’d visited in the rain two years ago, looked very different. Along to Cuban but we didn’t stop at THAT bar. Afternoon break in Domeroy. And then a little shopping as we entered Montluçon. A hilly evening ride towards Marçillat.